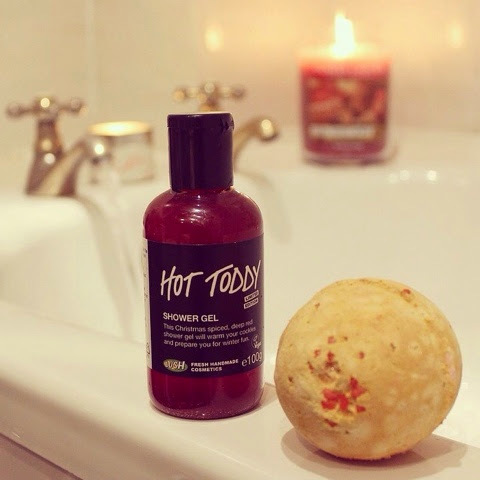 I started with the Hot Toddy shower gel to create some lovely bubbles, then added the Cinders bath bomb which fizzed and crackled away. 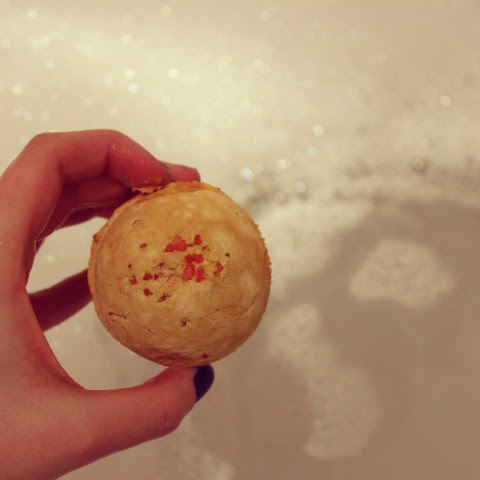 The warm water turned a very calming dark yellow and as the bath bomb and popping candy made sounds of a crackling fire, the delicious scents of cinnamon and spice filled the air and made me feel extremely warm and cosy. Perfect pairing for a cold winter's night. I was thinking of using both of these tonight as well. I absolutely love the smell of cinnamon. Maybe I'll burn my Holiday candle from Bath & Body Works. Sounds wonderful.